We tend to accumulate stuff. Lots and lots of stuff. As a result, many people start the New Year by throwing stuff away. Unread issues of Reader’s Digest, boxes of Cap’n Crunch that expired in November 2012, bottles of dry shampoo and half-used, dusty, scented candles–they can all go in the trash. You cannot sit on the furniture in your home. Walk into your living room. Can you see your couch? Can visitors sit on it? If it’s covered with newspapers, like your living room has become a birdcage for a free roaming eagle, you could be a hoarder. You have no counter space in the kitchen. When was the last time you used your kitchen counter for cooking? The Clinton era? The Nixon era? If you have stacks of recipes ripped from 1970 Good Housekeeping magazines stashed around your kitchen, you could be a hoarder. You haven’t seen your dog/cat/toddler/husband for days. Have you looked under the pile of shopping bags you have stacked in the corner? Could they have wandered off into the maze of boxes piled in the family room? If you’re pretty sure you have a dog/cat/toddler or husband, but have had no visible contact with them for quite a while, you could be a hoarder. You cannot park in your garage. Can you open the garage door without boxes of discarded clothes tumbling down like a fashion avalanche? Do you have several mechanical projects that need new engines, better tires, several layers of rust removed or an entire renovation? 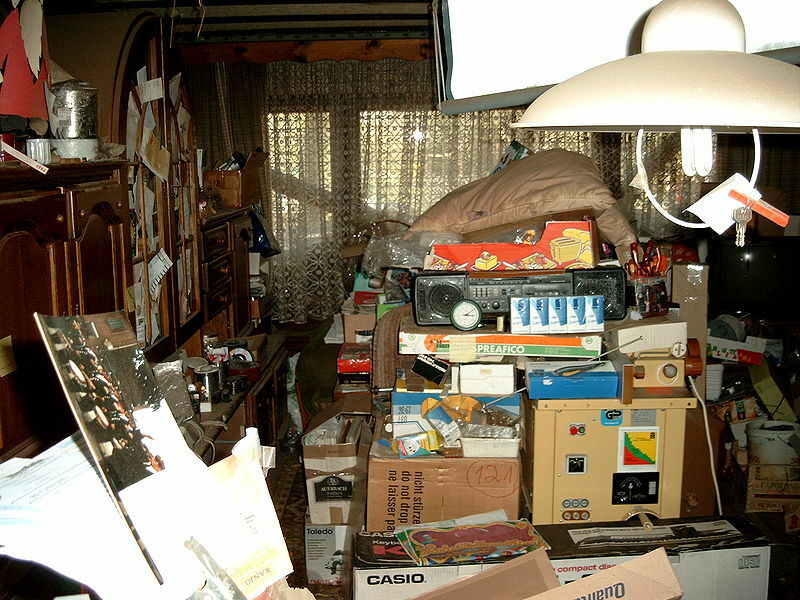 If your garage looks like a bad episode of Pawn Stars, you could be a hoarder. 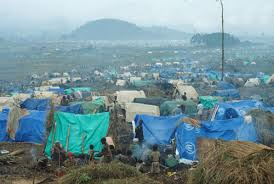 Your backyard looks like a refuge camp. Are there garbage sacks full of unidentifiable objects strewn around your back lawn? Is there a family of rats breeding on the remains of several swing sets? Do people in hazmat gear occasionally walk through your backyard with Geiger counters? If you find a family of immigrants living under a pile of old sleeping bags in what might be your garden, you could be a hoarder. Luckily, tonight is New Year’s Eve, so tomorrow you can jump right on that resolution to rid your house of excess crap. But there are also lots of sales happening tomorrow, so you might take the opportunity to bring more useless stuff into your home. Either way, Happy New Year! Reblogged this on Starvin' Delmarvan'. Happy New Year Peri. Great post, I haven’t gone that far…yet.